A light and creamy milk pudding made with your favorite Magi Instant noodles.Its a 2minute pudding and is ready in no time. Play with flavors of your choice . India has grown up eating Maggi Noodles. We fell in love with this name since our childhood days and it’s love has only grown in our hearts and the ways we cook have evolved in our kitchen to make it “Meri Maggi”. From one generation to another, it has travelled through like a legacy. It’s a midnight snack, a quick meal for students, an emergency snack, a savior for many and a treat for kids. Everyone finds their way and reason to dig into their cups of Maggi .I didn’t start eating mine as the classic masala noodle Maggi. The first time I had my first cup of Maggi was as a sweet pudding. It was years after having the Maggi pudding, when I first tried the Maggi Masala. My mum invented the Maggi pudding for us. Oh! 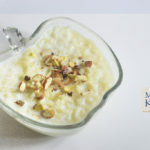 How I loved my cup Maggi Pudding/Maggi Kheer. It was a staple dessert I just relished to indulge in. And very easy and quick to make too. You can call it a 2 minute Pudding. We do not need the masala for this recipe, so all the masala packets were saved and used for an extra punch for the regular masala Maggi bowl or we used them is some of our vegetable recipes as a taste enhancer. It also did well with soups and marinades. 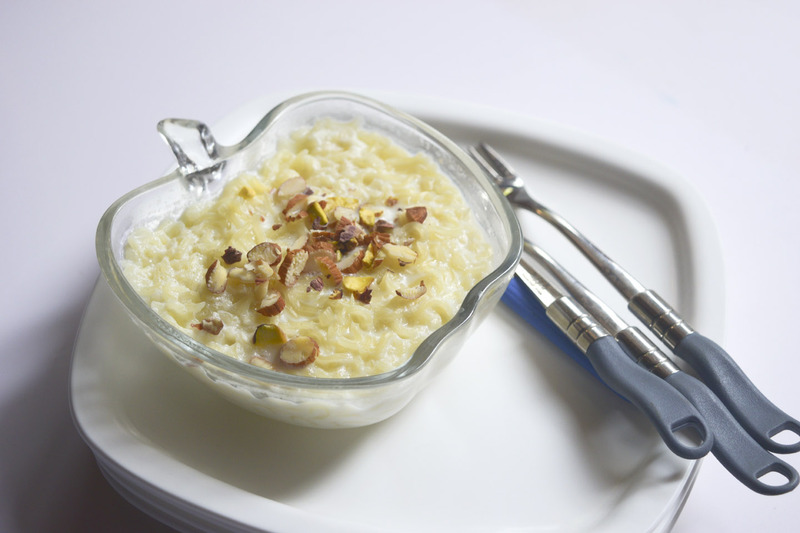 The little saltiness of the noodles when cooked and mixed with the sweetness of sugar and creaminess of the Milk really enhances the flavors of this pudding. You can experiment with the flavors here. 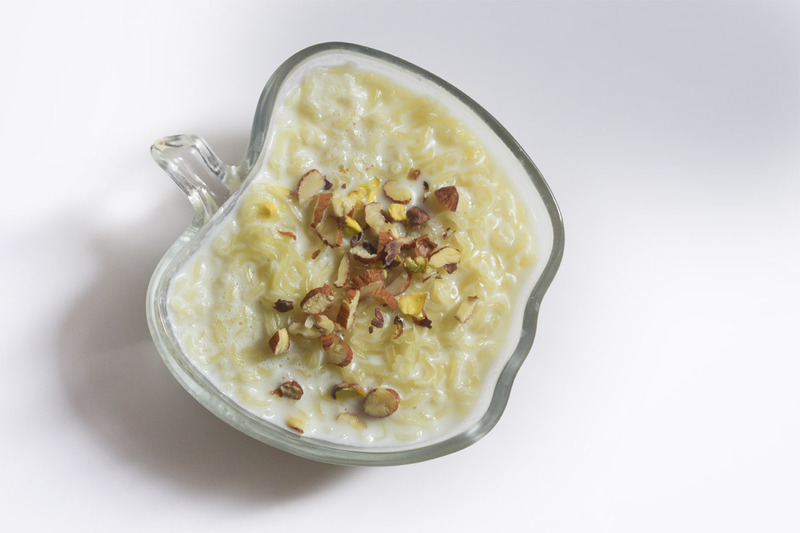 I sometimes add saffron to the kheer. You can even make this VEGAN and uses coconut milk with a little green cardamom powder/vanilla. It really is upto your taste preference. But this a the basic recipe of how to make the Classic Maggi Pudding. Do try this and share your views on how did you like the twist to your favorite Maggi Noodles. Its my childhood love, hope you like it too. Boil 1/2 cup water in a saucepan. Add maggi noodles.Crush the noodles a bit before putting into the pan. Mix well and once the milk thickens a bit and noodles are cooked take off flame and pour in the serving dish. 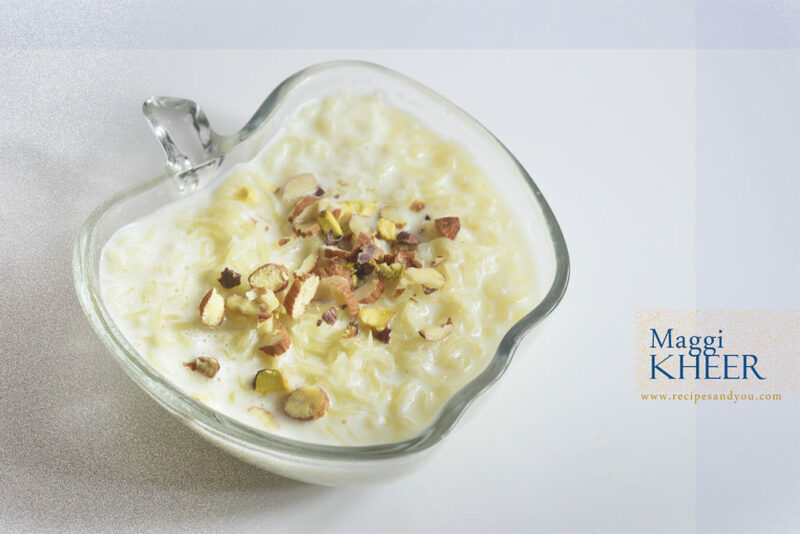 Granish with crushed almonds and pistachio and serve hot.